For current thoughts about Floyd County go here to Wikipedia. 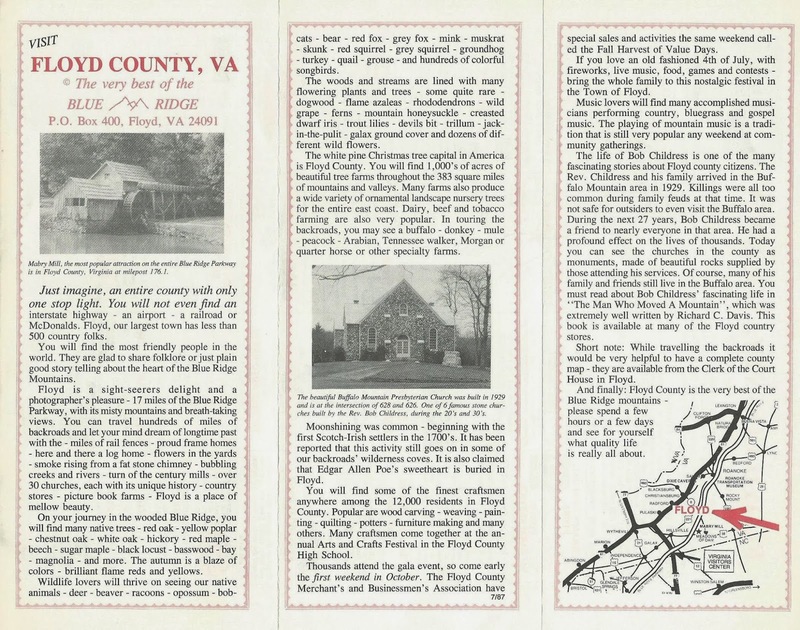 I am including a lot of old historical pictures and Floyd County history in my writing - below is a brochure my wife and I created way back in 1988 with our description of Floyd County - Click on it to enlarge for easier reading. This is a 3 fold brochure read the 3 pannels from left first to right. Here is our web site about current businesses and events in Floyd County. Speaking of old things - my wife Gaynell & I made a Floyd County Brochure in about 1988 you see it above because no one else had one available - I found these to still be in use as late as 2001 when the Floyd Chamber was in Jim Shortt's office building. 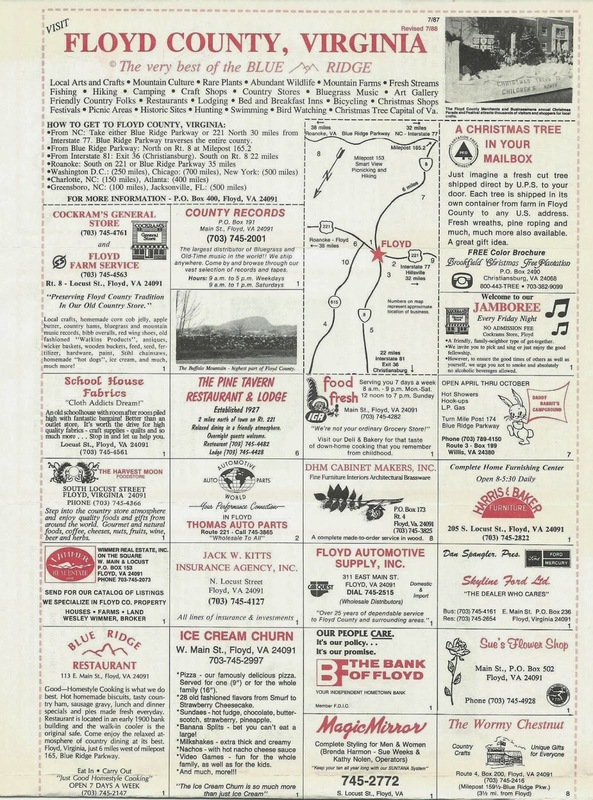 The backside shows some of the businesses that were operating at that time. Just "CLICK" on the image to the left to read.